New Feature Alert: Give Your Favorite Designs an Internet Hi-5! YOU get a high five! YOU get a high five! EVERYBODY gets a high five! Say hi to Hi-5, the newest feature on Discover! Dig a design? Say it with a Hi-5! Now you can click the little ❤ on Discover designs to show your artist friends a little love and to send good vibes their way. Because who doesn’t love getting a nice Internet Hi-5? But this feature isn’t just about earning good karma points. It also means the days of leaving a million tabs open to keep track of Discover designs you like are over! You’ll be able to see all of the designs you’ve ever Hi-fived right in your profile in a nifty little tab where you can scroll through all of your favorites. Save them for later to buy for yourself, or you can even share a link to your curated list of likes to share your good taste and style with the world. Like these designs too? Give ’em a Hi-5! Top row: “Caring for Your Demon Cat“, “Loner…Rebel“, and “Vacuum of Space” | Bottom row: “Totally Gothic“, “Flat Derp (Earth)“, and “Critical Hit“. 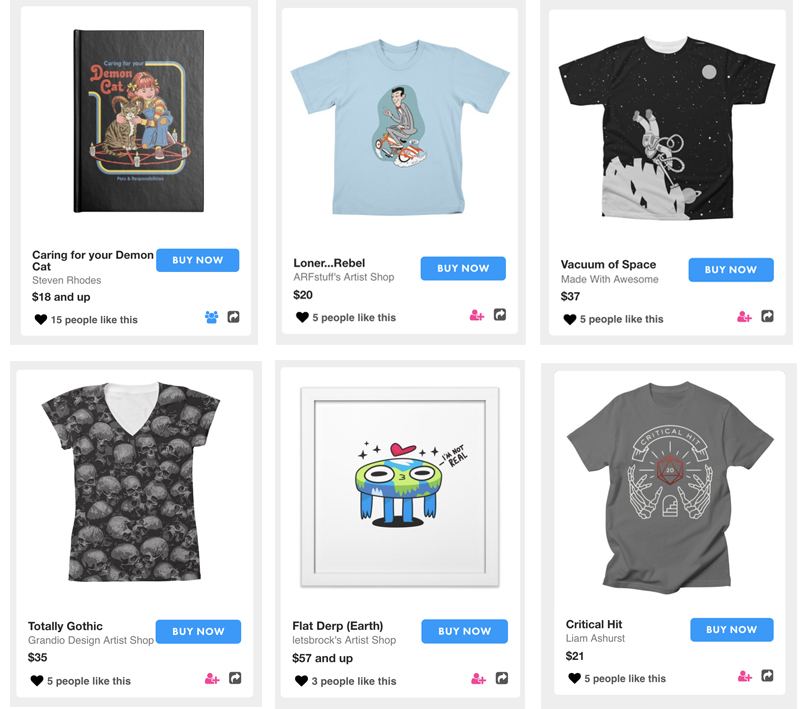 Plus, since you can see who else has liked a design (and shares your good artistic taste), it’s never been easier to connect with new friends & artists on Threadless. And artists, we’ll send you an email every time your Artist Shop designs get a new “❤” (but don’t worry – you can opt out of these on your account, too. You won’t hurt our feelings). There are tons of ways to use Hi-5. Want to support your best Internet friend’s art? Send an Internet Hi-5 their way. Want to show your favorite artist they rock? Hi-5. Need a boost? Hey, Hi-5 your own designs. 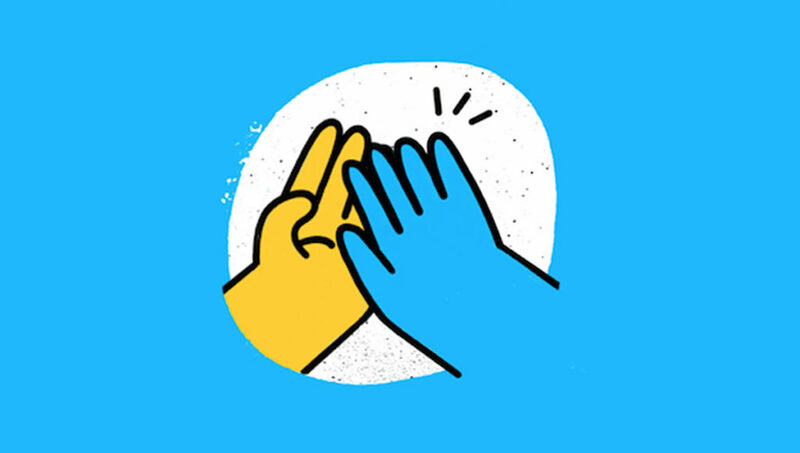 Hi-5 is the new “like”, and it’s only on Threadless Discover. So go forth and spread a little joy! Posted in Blog, News. Bookmark the permalink. “Yer a Traveler, Harry”: Go on a Magical Ride With Our Travel Winner!